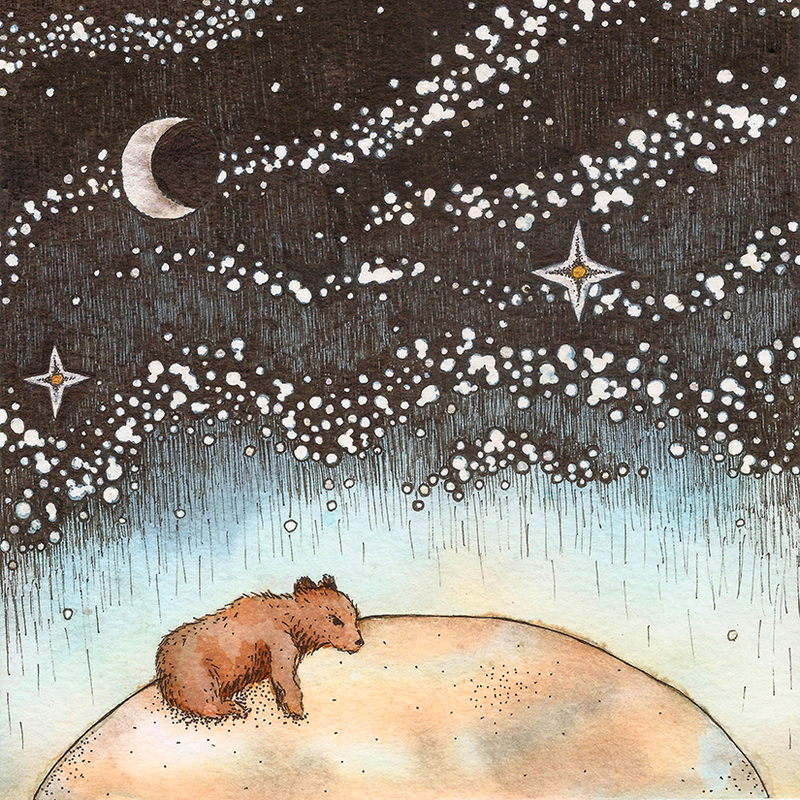 In Greek mythology, Ursa Major is Callisto, a princess-turned bear, who delivered a human baby boy. Her son, Arcas, is raised by the goddess Maia and becomes king. One day while hunting in the woods, Arcas came upon a bear. He did not know that this bear was his mother and as he threw the javelin that would kill her the god Zeus turned them both into the constellations Ursa Major and Ursa Minor to save them. They are both most visible in the Summer sky.